Nigeria's media suffer from and contribute to the country's shriveling gap between church and state, said Nigerian journalist Aramide Oikelome at The Media Project's Course on Religion & Politics in Washington, DC. 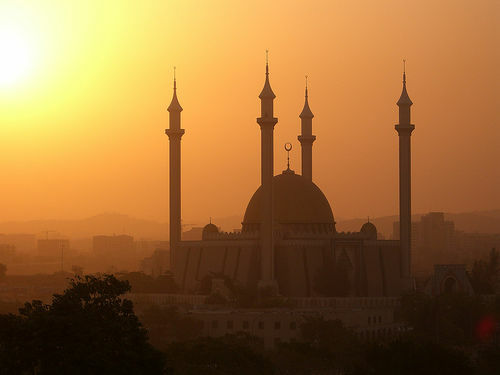 Nigeria, the most populous nation in Africa, is divided primarily between Muslim and Christian believers. Muslims are concentrated in the north, while Christians tend to be found in the south. There are also significant ethnic and tribal affiliations that cross-cut the religious networks. To deal with this diversity, Nigeria elected to be a constitutionally non-sectarian state. But the situation is in flux. The polarization of Nigerian politics puts tremendous pressure on Nigerian media to remain a neutral and trustworthy player in public life. The problem is, Oikelome charges, the media are not taking up this task. Instead, Nigeria's media cost themselves credibility by fostering ever closer ties to the government. Rather than protect a critical distance, many media outlets are owned by government surrogates or receive government assistance, she said. While the influence of government has its negative effects, the religious tensions also have a direct and toxic effect on media independence, Oikelome said. She illustrated the problems with the case of journalist Isioma Daniel, who wrote for ThisDay newspaper. Daniel ran afoul of Muslim readers in her reporting on the Miss World Beauty Contest, which Nigeria was to host in 2002. Daniel, impressed with the contestants, wrote that they were so beautiful that the Prophet Muhammad himself might have taken one as a wife. As cases of media intimidation become more frequent and as media slip into religious divisions, Oikelome fears that media will only report from the perspectives of their politically and religiously aligned owners, if they report at all. Oikelome worries that Nigeria has gone too far now to separate religion from politics. Religion is such a powerful tool for politicians that they just ignore the warnings about the dangers of that mix. But she still holds out cautious hope for media.